Here at Minters Of Deal, we provide a whole range of removal services including domestic, commercial & worldwide. 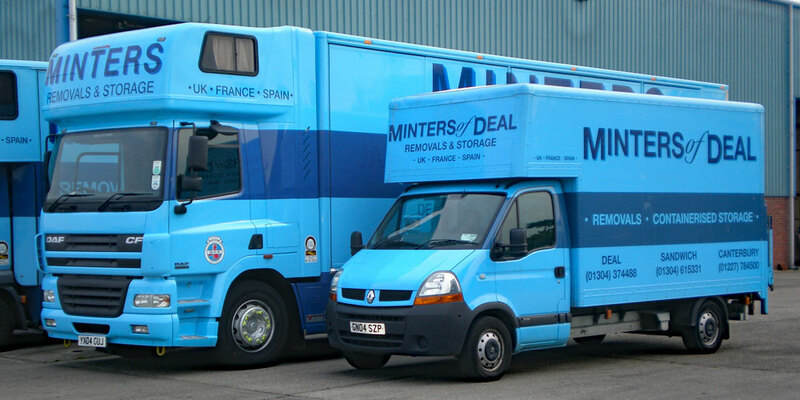 Minters Of Deal provide a range of storage services such as; indoor, outdoor, gas, vehicle, motorhome & archive. We can provide many additional services such as; packing, crate hire, handyman, house clearance, data shredding and many more. 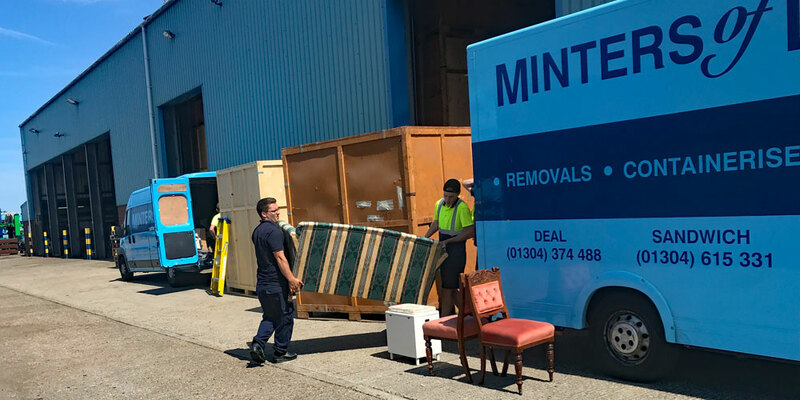 Minters of Deal have been providing removals and storage within the local area of Kent since 1920. Over the years, we have developed an excellent and recognisable reputation within our local community, by ensuring that we always provide professional, reliable and considerate moving solutions. 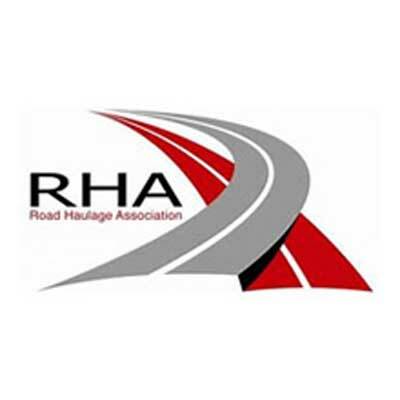 A high proportion of our business comes from customer appraisals and, as our affordable and reliable moving solutions are known for providing a quick and easy removal service, we have become a highly recommended removals company, particularly within the Kent area. 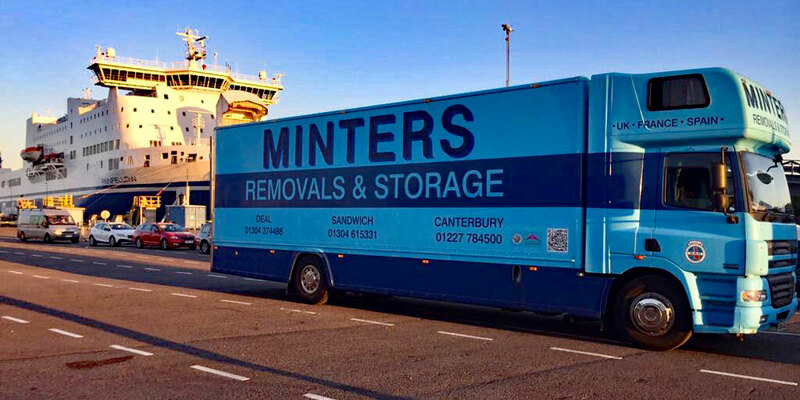 Here at Minters Of Deal, we provide a whole range of removal services. These include: Domestic Moving, Commercial Moving and Worldwide Moving. 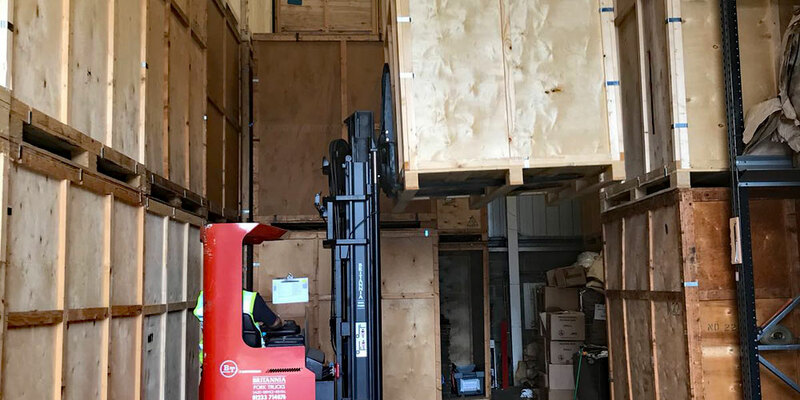 We provide a whole range of additional services which include: Indoor Storage, Outdoor Storage, Gas Storage, Vehicle Storage and much more! Minters of Deal have selected a range of products and packing materials that meet both the desired operational performance and a range to compliment all works. 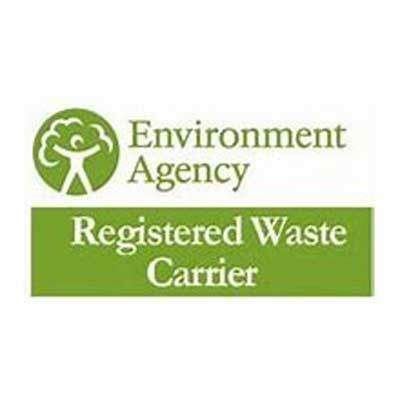 Take a look through the Minters of Deal image gallery, here you can find images displaying the types of services that we provide to our customers. 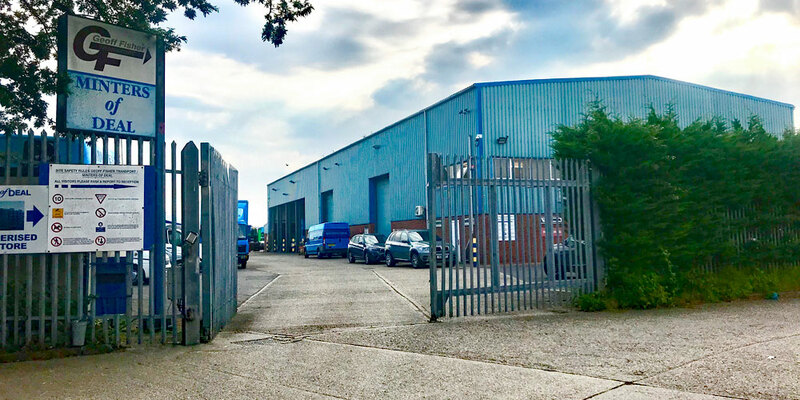 At Minters Of Deal would love to hear from you so please feel free to use our contact form here, and we will get back to you as soon as we possibly can. Steve, Jason & team were fantastic. They were very professional, friendly & always checks with me. Would definitely recommend, they're a credit to your company. Work men were very helpful. Very pleased with the service. It was an absolute pleasure to have Andy & Mark do our move. Two very nice hard working lads. Thank you so much. Very efficient and very helpful. A big thank you for making our move so easy, it all went so smoothly and I can't praise you guys enough. The service we received was professional and friendly and care was taken with everything. Many thanks. I found Sean & James very helpful & friendly at my old address. Every one of the lads was extremely helpful and courteous at all times. Smiles and pleasant personalities work well with customers as I know for being in business for 40 years. Thank you lads. Thank you Kevin so much. We cannot speak highly enough of the service given from start to finish. Thank you also for being so accommodating for the change of scheduled moving dates. We would not hesitate to recommend Minters. The guys were so pleasant, helpful & friendly. Say thank you from me! The team worked incredibly hard at all times - friendly and helpful, no request was too much and often anticipated our needs. Thank you so much - you made everything much easier and less stressful. Shaun, Paul + Phil were all really polite, conscientious and helpful. They made a stressful time better than it could have been. Also Kevin & Kelvin were very patient with the charges enforced upon us. Thank you all. Gordon, Nial were brilliant very chatty, polite, took pride in their work, even putting things back together and asking if there was anything else they could do. Would highly recommend these two. Sean and Phil were awesome. Nothing was too much trouble. They were helpful & polite & went over and above what our expectations of our removal requirements making sure everything was packed safely & furniture was placed where ever worked when unpacking. Not only were the staff helpful they did all of the move with good heart and cheerfully. We were impressed with their professionalism. Very helpful, pleasant staff. Would recommend Minters. An overall excellent move with a very careful and considerate removal team. Would not hesitate to use again & recommend to others. Thank you very much for your good humour on days Peter, that helped a lot. Thank you to Nial and James too. Really good service - removal men were professional, courteous and efficient. This is the second time I have used the firm and I'd recommend to others! Excellent service - very happy with everything. Thank you all very much. Moving house is an extremely traumatic time, more so when "senior citizens"! Your "boys" helped us through this experience with so much care and good humour even though they loaded up in dreadful weather then did a very long drive and then loaded into our new home also in ghastly conditions. They were wonderful, can't praise them enough and will definitely recommend them to friends and family who may be moving in the future. Many thanks to all. Service was exceptional, very polite and friendly staff. Was a joy to work with them, would highly recommend Minters to anyone who asks for removal firms. Gordon & Paul made the move really enjoyable. They are a true asset to your team. Thank you. Couldn't fault from start to finish, men lovely. They worked incredibly hard and nothing was too much trouble. I would definitely recommend Minters to my friends! We are so thankful for your staff. Everyone we worked with was calm, respectful, happy and helpful. Even on such a stressful day we knew they were doing their best and that everything we had was in safe hands. Thank you. Staff responded very well to delays. Remained cheerful throughout. Give your 2 lads a pay rise, they are a good advert for your company!! 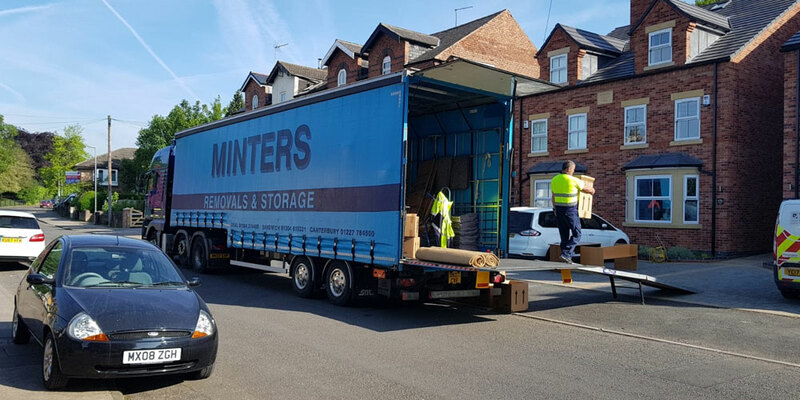 Having finally come out from underneath what seemed like a mountain of boxes and wrapping paper, we are able to thank you and all the staff in Minters for the totally professional way in which you dealt with our move from Kent. Firstly, Clare’s belongings were delivered to the care home in Blackwood, and the care staff in the home were very impressed by the efficiency of your staff. Then on the 11th the lorry arrived in Cwmbran in good time, and the boys got on with the job immediately, they worked so so hard, were incredibly helpful in every way and were a pleasure to have in our new house. They took so much care to put things where we wanted them, nothing was too much trouble for them. Now that most of the boxes are unpacked, we want to tell you that not one item was damaged at all, so much care had been taken with the packing to achieve this. Please pass on our very sincere thanks to everyone involved in making our difficult move as smooth as possible. Thankyou also Kevin for changing the date from the 12th to the 11th that was kind of you. We have already, and will continue, to recommend your firm to as many of our friends as possible! With our best wishes to you all for Christmas & the New Year. Hi James. Thank you so much for all the work you and guys did for us over the past couple of days - much appreciated. Sorry I didn't see you to say thanks - I had to dash to my parents to deal with a crying baby! Please pass on my thanks to the others too. Merry Christmas. Fantastic, excellent service punctual, both Gordon & Naill are a credit to your firm. We will certainly recommend your service. Our removal team were a credit to your company. They were excellent in every aspect of customer care and the best team we have EVER had (moved 11 times in 20 years!) nothing was too much trouble and made us feel very special - they were superb and we have very high standards. Thank you from the bottom of our hearts. Very polite and helpful, the move couldn't have gone any smoother. Thank you so much for supplying the cardboard wardrobes for our Fashion Show last week. They were a real help to us and we do not know how we could have managed without them. You certainly went that extra mile and we are very grateful. The event was a huge success and raised £263.50. This money will go directly towards helping the Women and Children who come to our Refuge. Coming up towards Christmas is a particularly hard time, so all fundraising is very important. Without the support of people like you, we would struggle to give our clients the basics they need to get back on their feet. Brilliant service, helpful staff, worked hard through rain and shine. Very courteous to residents in our new village. Thank you for making our move effortless and stress free. All your staff were very polite & efficient. A special mention to Steve, Gordon who seemed to go the extra mile. Paul. The crew were friendly, courteous and nothing was too much trouble for them and Mark was excellent with the plumbing and electricals. A wonderful team who area credit to your company. What a great team. Even through our on/off back on exchange of contracts you gave us peace of mind. A big thank you to everyone, you made the move a lot easier. Your staff were very polite and helpful, nothing was too much trouble. Extremely happy with your service. I was amazed at the service I received all I can say is excellent service. The team were very helpful and polite, I will definitely recommend you to friends. Once again, thank you so much. Fantastic service from the removal team led by Steve. Friendly, helpful and put us at ease. Phil was fantastic putting the beds and cot together as well. First class service. Adam, Sean and Phil were absolutely fantastic. Worked so hard and made the day less stressful. Thank you for everything! Excellent team of removers, listened to our requirements and responded appropriately. Thank you for an A*** service. Fantastic, couldn't have gone better, absolutely brilliant service. Shawn and Tony were so polite, helpful and worked really hard to move our things into our new house. Thank you so much. We have been moved by Minters five times now and each time have been impressed and delighted by the service we have received. Bravo Minters, you have done it again! Brilliant. Very impressed with the 3 chaps who did the move. They couldn't have been more helpful or obliging. Steve, Phil & Tony were superb - they worked very hard and made the stressful move run smoothly and with good humour. Excellent service yet again. The guys who moved us into our property were polite, worked incredibly hard and remained cheerful throughout. Would always recommend. Lovely boys as before! Excellent service and very polite. Thanks again. We must commenton the work carried out on day 1 & 2 by Tony and Paul in our opinion a total credit to the company; there was no let up in their work right to the last box and always pleasant. Please give them our kind regards, thank you! Would highly recommend - thank you! Your boys were fantastic and made the process very enjoyable. Nothing was too much trouble. Made our 3 house move very smooth, no hassle and we were settled very quickly, great service, well done Gordon who helped us with all 3. He was great. Exceptional team - all introduced themselves, took care of our welfare, were positive with "can-do" attitude. Would highly recommend them to anyone. Special thanks to Gordon who was fabulous, James Shaun, Paul, Steve and the rest of the gang. I was well looked after by your staff who were polite and helpful throughout the move. We could not fault the staff (Shaun, Phil & James) all extremely helpful and organised and made the move less stressful than expected. Shaun went above and beyond with the washing machine! Thanks to them all, well done, such a hot day. The chaps did a great job and were a huge credit to you. Many thanks. Thank you very much for your hard work on the day, the guys were great and it was such bad weather but nothing was too much trouble. Thank you. From start to finish a very good service. Changes of dates were no problem. The move team Adam, Phil, Nial (Well me was ok) worked excellent and worked hard. Thank you for helping us. A super moving experience (again) with a great team, especially considering the high temperatures on moving day. Would highly recommend Minters to anyone. We were extremely satisfied with the move and how it was carried out. Worked hard and nothing too much trouble for them, we appreciated that. Staff very polite and considerate and professional. Crews on both days of the move were helpful, friendly and polite. Staff were efficient, met any impromtu requests and all done professionally. This being a very difficult time for me recently bereaved I am so grateful for kindness and efficiency shown by staff. Felt very supported and reassured - 5 star service. Cant thank team enough for a smooth moving day very pleased and will recommend. Part one completed. Very well, staff very hard working, helpful and affable. Good so far! Service polite, friendly and efficient. No request too much will recommend. Very happy with service, lovely staff. 10/10 staff an asset to the company - move totally stress free. Cannot praise staff enough, thoughtful and friendly. Staff nice guys worked very hard. Very polite and helpful. Very mindful of all they were doing. The guys were brilliant. Hard working helpful and good characters. Great all round. The staff worked very hard on my behalf and moving day a happy one. The guys are a credit to Minters. The removal guys were absolutely fabulous, would definitely use Minters again. The guys are a credit to Minters. The staff were brilliant. thankyou so much. They were careful, thoughtful and when asked were always willing to go above what I thought they should do! Brilliant when I move again will definitely use Minters. Very helpful and polite, very good journey up with them, very good at putting things where I wanted Vey goo dunloading my property, made light of having to carry everything up one flight of stairs - would recommend the firm to friends. I am totally satisfied with the service. The team were cheerful, kind and amazingly helpful. Would definitely recommend your service. Overall very impressed with the service nothing too much trouble. Staff were very polite and helpful, took some of the stress out of moving. The lads who did the move were brilliant, couteous, helpful and very obliging. The move went without a hitch. Job well done! Fantastic service as usual. Have recommended to friends and family. Knowledge and experience of the removal team were very clear and on occasion tested to its limits. Every problem was resolved with hard work and good humour. The team made us feel comfortable and reassured we were in good hands. Great service - friendly and helpful guys who made my move stress free! Would recommend highly. All the lads were great, they worked so hard and nothing was too much trouble. Thankyou! The staff over the three days was always good humoured and helpful. Nothing was too much trouble. Thankyou for making the move almost bearable! A great team of really delightful chaps - who made my day go really well and enjoyable, without any stress at all! Grateful thanks to them all. Our move was extremely well handled. The removal staff were polite, courteous and friendly. Nothing was too much trouble for them. A big thankyou! I would especially like you to thank steve for his kindness and understanding - and the cup of tea made for me! They worked non stop and they were cheerful on the two days, friendly and helpful.